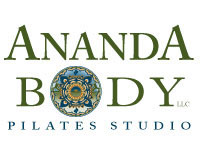 Corporate Identity for Ananda Body Pilates Studio with custom designed mandala with elements of "body bliss", which is what ananda means in Sanskrit. 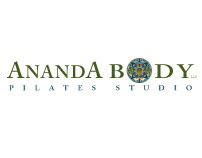 Ananda provides specialized instruction of machine and mat pilates, yoga, and kettle bell class offereings, focusing on core strengthening exercise. 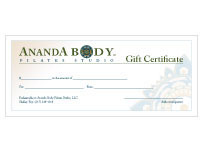 Client wanted to incorporate a mandala that would emulate "body bliss" which is the meaning of Ananda. The mandala was created with this particular client in mind, with a water element included as a direction from the client. 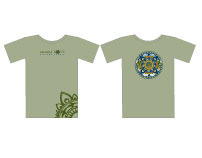 Two formats of logo design, business card, gift certificate, a template of a flyer and t-shirt design were part of this corporate identity development.